The National Retail Federation’s annual convention and expo is a fixture in our calendar, and while we had attended as regular visitors in the past years, we were excited to make our premiere as an exhibitor in January. Thank you to everyone who took the time to stop by our booth and contributed to making our debut a success! The three-day event, dubbed Retail’s Big Show, drew more than 36.000 attendees to New York City and we were delighted to see our booth buzzing with visitors looking to learn more about our 3D people sensing technologies. In addition to this promising start into the new year, we are happy to announce that we have just opened a branch office in Chicago, Illinois to better serve and grow our North American customer base; Tilman Schwarze and Dan Edmonds will be your local point of contact. Over the past year, the retail segment of our people sensor solutions has experienced a steady growth – not least thanks to the IF Gold Award win for exceptional design for the APS-90 counting sensor – and we aim to continue this trend. 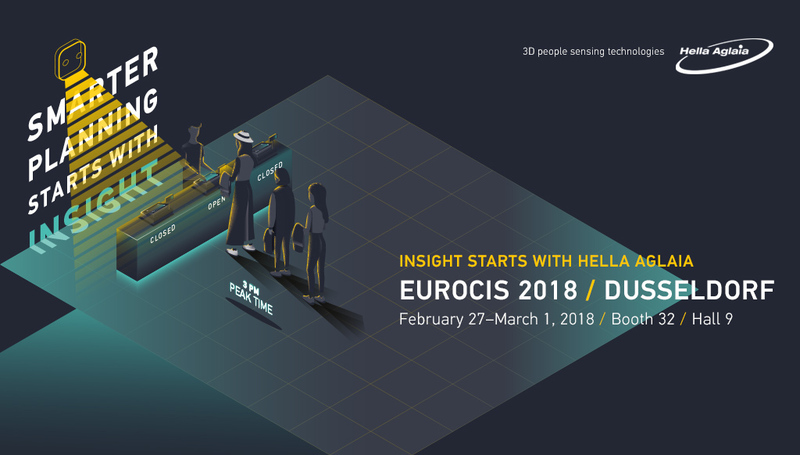 We believe that precise analytics are at the core of smarter planning and following the successful New York event, we are excited to bring our latest insights back to Germany to the EuroCIS in Dusseldorf from February 27 to March 1. Tried and tested at last year’s EuroShop, we will be on site with our highly favored pop-up store showcase at booth E32 in hall 9 and invite you to visit us to learn how our advanced imaging technologies and analytics can help improve your business operations. We look forward to seeing you in Dusseldorf!